The Wensleydale Railway are proud to be holding a festival of food and real ale in 2017. This will take place over the late May Bank Holiday and will be held at Redmire Station. On Bank Holiday Monday, Finghall Village are holding their annual sponsored barrel push. Why not take a train to Finghall Station to watch the event. 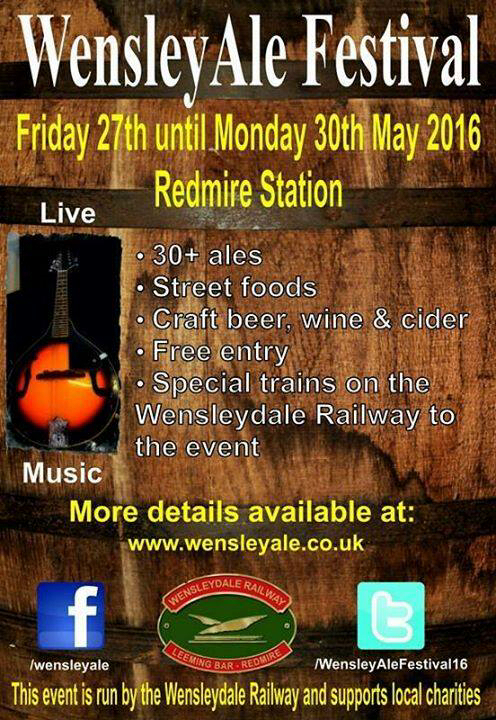 Our festival is located at Redmire Station. Parking however is limited on site and we would kindly ask that you park at one of the stations on the railway (times here) and use the train. Alternatively, please park in Redmire village and walk up to the festival.